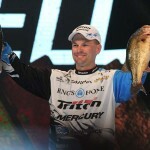 Editor’s Note: Matt Lee (http://www.mattleefishing.com/) of Guntersville, Alabama, finished 4th in the 2018 Bassmaster Classic (https://www.bassmaster.com/tournaments/2018). On the last day, he had two chances to win it all. 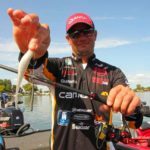 In 2012, Lee won the Collegiate Bass Fishing Championship, and he had four, top-12 finishes in the 2017 Bassmaster Elite Series tournaments, which represents a very-good and consistent year for a Bassmaster Elite Series pro. 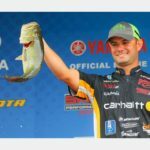 Twenty-nine-year-old Lee, who has fished the Bassmaster Elite Circuit professionally for 3 years, has earned about $300,000 fishing for bass. 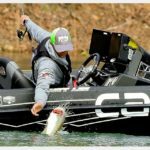 Lake Hartwell, the site of the 2018 Bassmaster Classic in South Carolina, homed some very-big largemouths and also large numbers of spotted bass. However, locating big groups of nice-sized largemouths was tough. 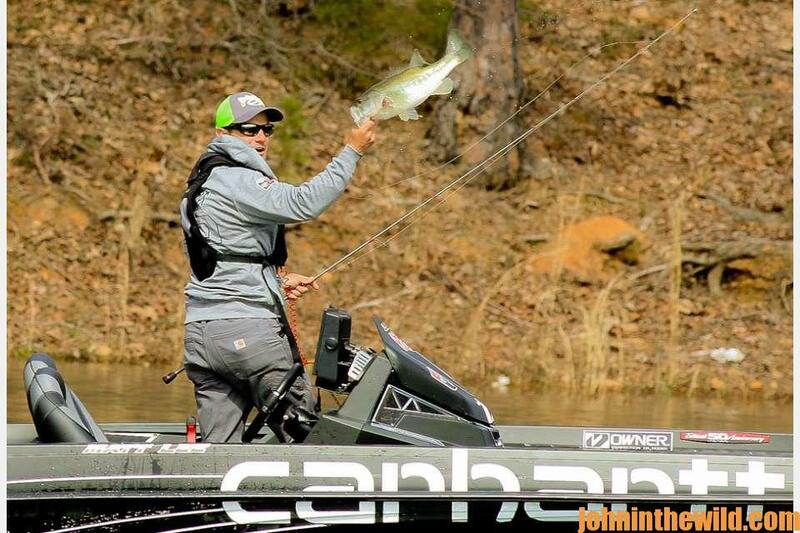 I think due to the high water at Hartwell the largemouths seemed to be very spread out on the lake. 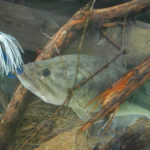 The spotted bass I caught at Hartwell were in 20-30-foot-deep water in isolated brush on points. I’d start every morning fishing this isolated brush on points in that 20-30-foot water depth. Usually I’d catch a decent limit of spotted bass from the points, and then I’d motor to the docks to try to find some largemouths. 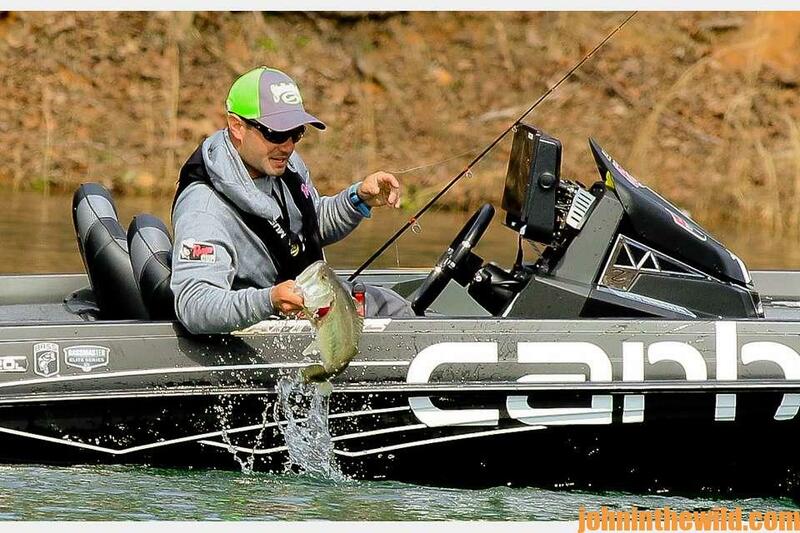 To catch those spotted bass, I fished a 2-3/4- and a 3-3/4 inch-long Strike King Rage Swimmer swimbait on a 3/8-ounce Owner head jig with a light wire hook on 12-pound-test fluorocarbon. The bass would be holding down in the brush, which meant I’d have to make long casts, swim that bait over the top of the brush and barely tick the brush to get a bass to come up and take the bait. I generally only would catch one good-sized bass out of the brush, and then I’d have to leave the region, come back and fish it again later to try to catch another bass. I attempted to get a limit of spotted bass that weighed 12 pounds early in the morning and then would spend the rest of the day fishing the docks for one or two nice largemouths. I was fishing one creek down near the dam, and the largemouth bass in that section of the lake seemed to be holding under the docks. 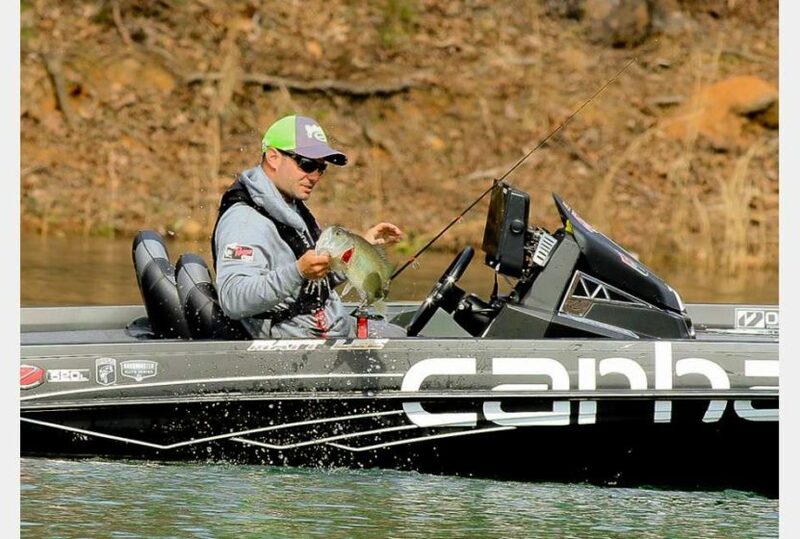 I didn’t know until after the tournament, but my brother Jordan, who won the 2018 Bassmaster Classic, was fishing close to me in that same general area. I was searching for short pockets that looked like quality spawning areas and that only had one or two docks in those pockets. Next I’d pinpoint the dock with the most shade, and I knew that if a big bass was in that vicinity, that bass should be under the dock with the most shade. 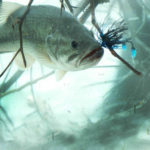 To learn more about bass fishing and get John E. Phillips’ Kindle eBooks, print books and audiobook on bass fishing, go to http://johninthewild.com/books/#bass, or for Nook books, visit www.barnesandnoble.com.